Chelsea winger Eden Hazard has been named the PFA Player of the Year, beating stiff competition from Manchester United ‘s David De Gea and Tottenham’sHarry Kane . Hazard has played a pivotal role in Chelsea’s march to the Premier League title this season, scoring 13 goals and laying on eight assists. 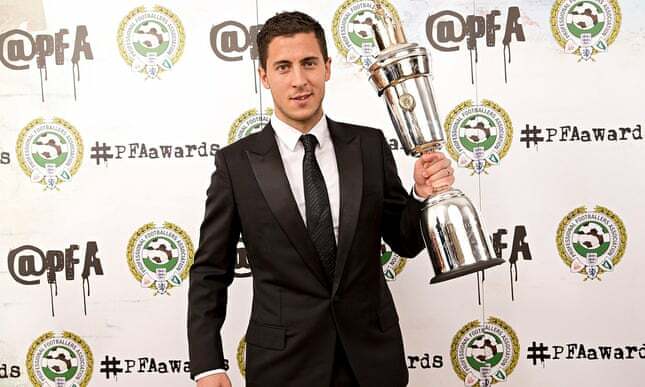 Team of the Year – Hazard has maintained the high level of form which he showed in the first half of the campaign.